Home Career Development 7 Books Every Software Developer Should Read. 1. 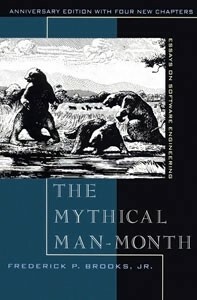 The Mythical Man-Month: Essays on Software Engineering(Anniversary 2nd Edition) by Frederick Brooks, Jr. Many books written by teams lack focus and can contain conflicting opinions — but not this one. 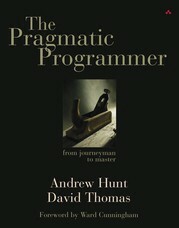 Instead, it contains a clear and comprehensive view of the use of algorithms in computer science and other math-based technologies. The explanation of algorithms is rigorous so that you can understand precisely why an algorithm works in a certain manner. The 12 Highest Paying Programming Languages. In the real world, many developers spend far more time updating someone else’s code than writing code from scratch. Unfortunately, the approach of most schools and books is that the developer will work on new code all the time. 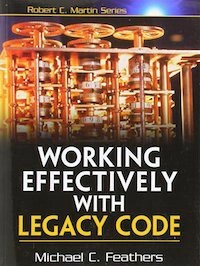 This book helps developers interact with older code to produce better applications. It goes even further than that by helping developers gain important insights while working on legacy code — lessons that can help developers create truly amazing applications when it is time to work on new code. Something I try to get across in my own books is that applications are about people, not hardware or software. When a development team becomes too involved in the technology, the application often fails. This book is about people — managing teams and creating applications that use the skills of the people who create them to delight users. This article was first published on Medium by Dev Battles. Previous articleWeekly Wrap Up: Why Olacabs, Snapdeal and MakeMyTrip are in the news. Next article"[We didn't] send faxes and grab coffees.Tesla interns work on real products." - Eduardo Batista, Former Data Scientist Intern at Tesla.